I have had a terrible case of the munchies lately. I find that I get really hungry around 4 PM and just need a little snack to satisfy my stomach for a couple of hours until dinner. The problem is, when I can't find a small yet filling snack, I eat the whole cookie jar. Can't help it. Discipline goes out the window when hunger strike. 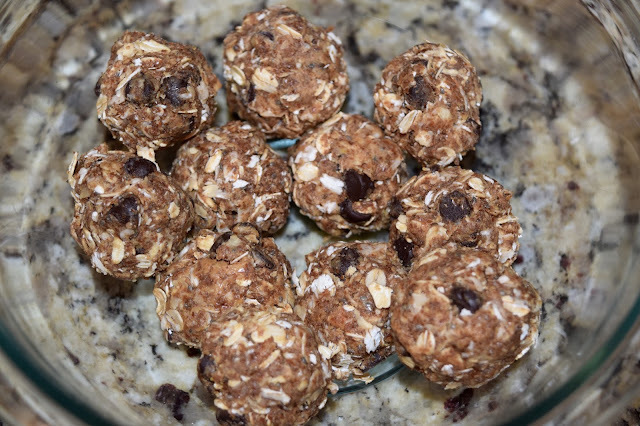 I decided to try out these No Bake Energy Bites, and yall, I am obsessed! They are healthy and packed with protein and fiber to keep my belly full. Plus, they are delicious. The peanut butter and chocolate flavors take over, and it tastes like a Christmas cookie. I now keep the refrigerator stocked with these and just grab one when my tummy starts a'rumbling. This recipe makes about 12 energy bites. 1. Mix all ingredients together in a bowl and place mixture in the refrigerator for 30 minutes. 2. Remove from refrigerator and roll mixture into small bites, about 1 inch in size. 3. Store in an airtight container in the refrigerator. That's it! So simple, so yummy, and so healthy. Trifecta! I would try them. They look tasty! 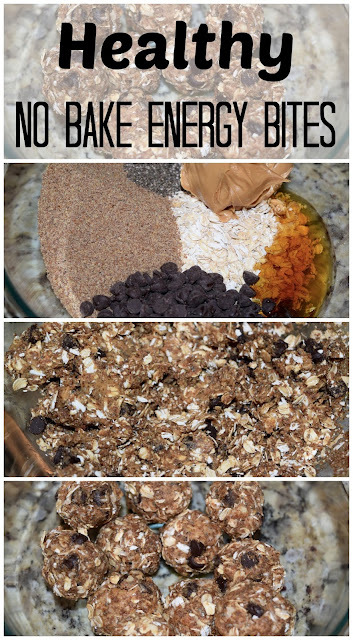 So this is the kind of thing I WANT to make and like, but I'm so picky about healthier snacks, haha. But I always love your recipes so I might give this one a try!